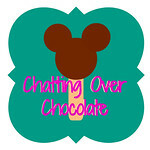 Chatting Over Chocolate: Feedback Appreciated on Chatting Over Chocolate's 2nd Blogiversary!! Feedback Appreciated on Chatting Over Chocolate's 2nd Blogiversary!! Hello, long lost friends! I'll admit I've been away from my lit'l nook of the bloggy world far longer than I originally planned to be. Thanks for your patience, sweet readers! This week marks Chatting Over Chocolate's 2nd Blogiversary! I'd like to ask for a moment of your time for a brief survey (only 8 little questions) to help me better understand what you've enjoyed or found helpful here during these past two years. You'll find in the conclusion of the survey that I'm uncertain about what the future holds for my blog. Before I make any final decisions I'd like to hear from YOU! I value your thoughts, so your feedback is greatly appreciated! Thank you in advance!! So thrilled to see this pop up in my reading list! I loved seeing a post from you pop up!!! Happy blogiversary! I miss your sweet words of encouragement, Brenda! Happy 2 years! Super glad to see you pop back up.